you know my wants, my troubles, my sufferings. Deign to cast upon me a look of mercy. 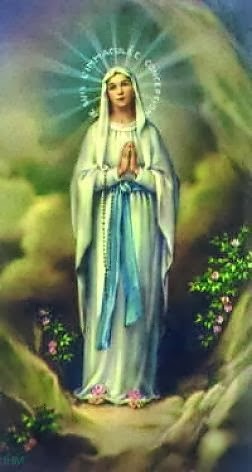 By appearing in the Grotto of Lourdes, you were pleased to make it a privileged sanctuary, whence you dispense your favors; and already many sufferers have obtained the cure of their infirmities, both spiritual and corporal. in the crevice of the rock. come to our aid, sinners that we are. the courage to do penance. Teach us to pray for all people. Guide us to the source of true life. the bread for the journey, the bread of life. in the glory of your eternal Son. on our miserable bodies and hearts. May we enter, like her, into the spirit of the Beatitudes. dwelling place of the Holy Spirit!